The thing about a conference like Money2020 is pretty much the fact that there a few conferences that are fairly broad in subject matter and audience. It lies at a very interesting cross-road that brings together people from the 4 very key areas that affect everyday commerce – Retail, Banking, Technology and Marketing. 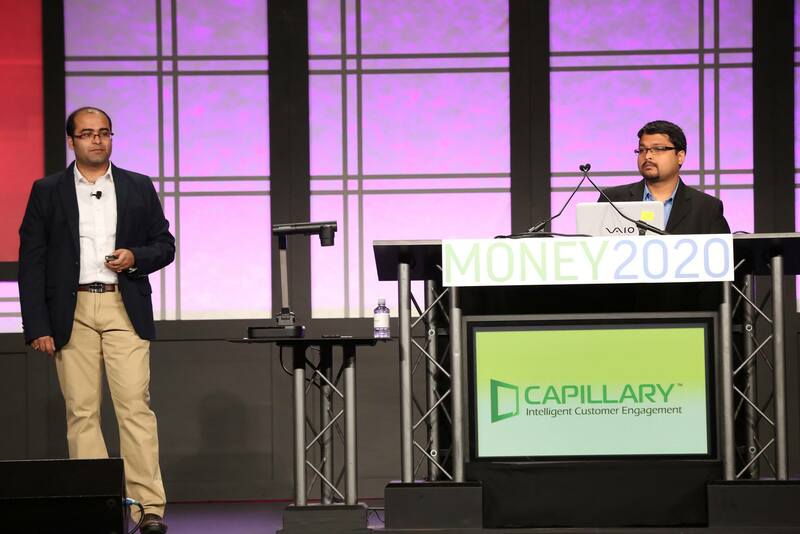 With leading companies (both large corporates, as well as innovative companies) that participated in the 2013 edition of Money2020, it was quite the proverbial ‘melting pot’ of ideas, if you will. Though from a purely personal perspective, I would have loved to see more retailers there! That being said, I think the content of show the show was spot on – and there were lots of interesting talks, sessions, workshops on things like the future of payments, BITCoin, social commerce, and even “Personalization”. At Capillary Technologies (where I work), we launched the Capillary “InStore”, which is a part of Capillary’s suite of Intelligent Customer Engagement solutions. (Find the official Press Release here). With the content of the show attracting the really big ones (American Express, Bank of America, Google, Paypal and the likes), we were glad to be presenting at a innovation showcase format called “Launchpad 360”, where we were able to present and demo the product to the audience of the show. There were quite a few really interesting companies in there at LaunchPag360. Among the speakers at the sessions from a very diverse backgrounds, was – Shivaraj Subramanian, who heads Consumer Insights at Magura Garments, one of Capillary’s customers. Owned by the Aditya Birla Group, Madura is one of the largest retail companies in India, operating brands and retail formats like Peter England, Van Huesen and Planet Fashion. The 4-day conference at the Aria Resort, Las Vegas, was quite engaging. True to the content, they kept users hooked through innovative use of Twitter, and a useful mobile app, among other things, and the show seemed to have something for everyone! Next Next post: TalkingTails, Retail Customer Engagement and other stuff!